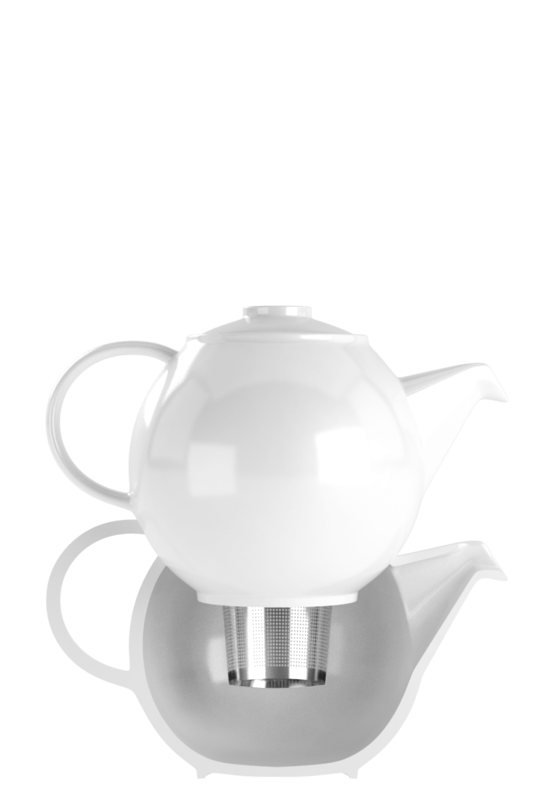 "In 2014, TEALEAVES, the expert in tea, collaborated with Royal Crown Derby, the expert in fine bone china, to solve a 100-year problem. 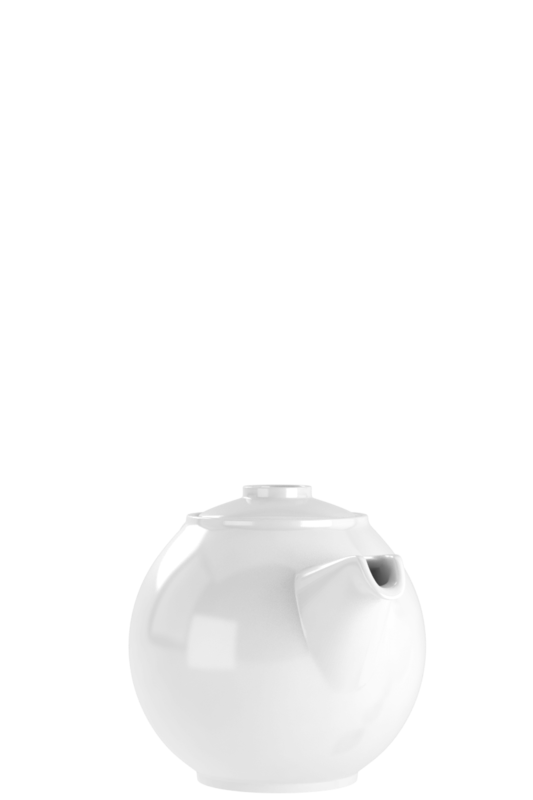 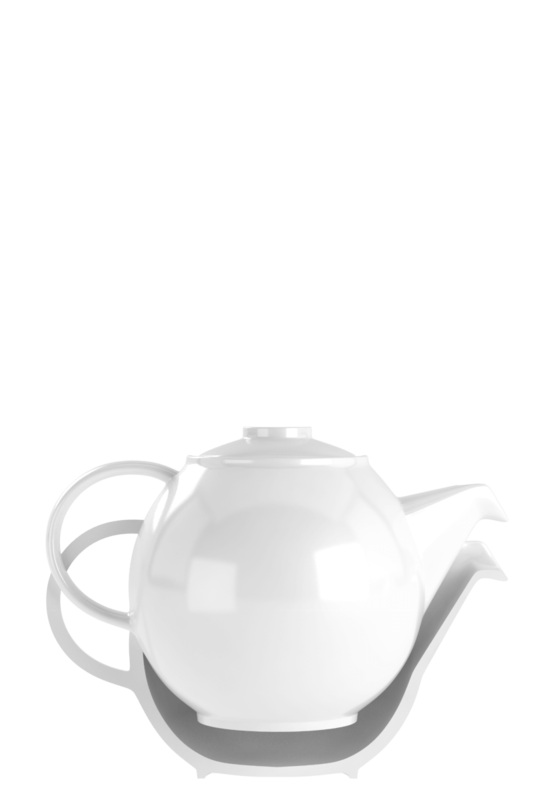 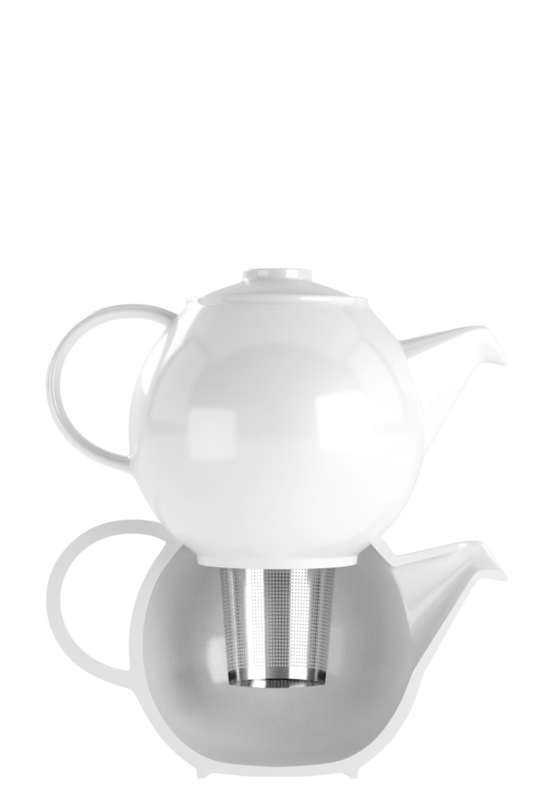 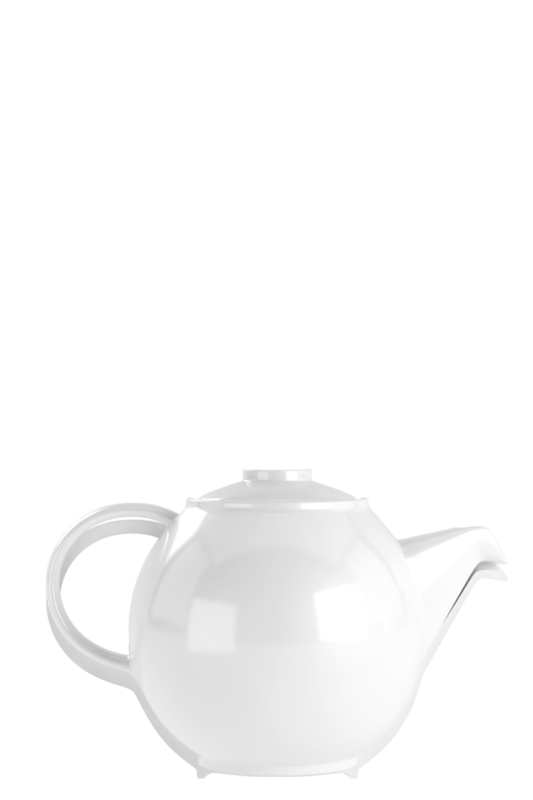 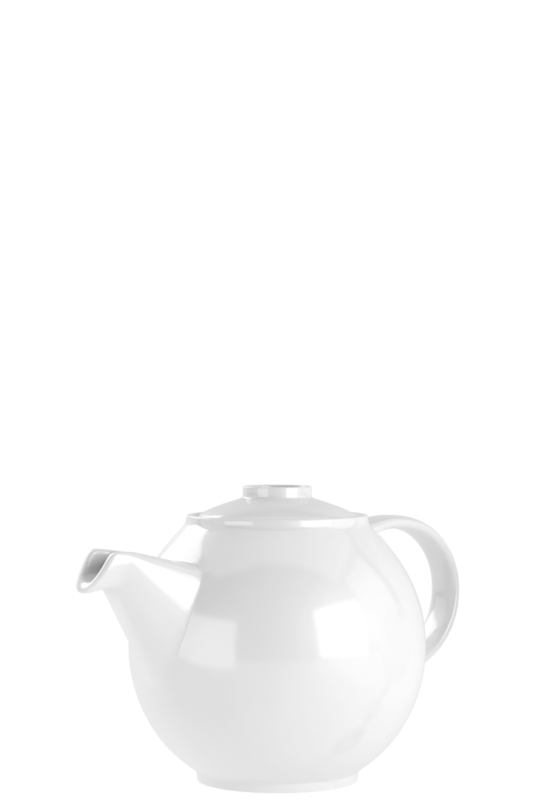 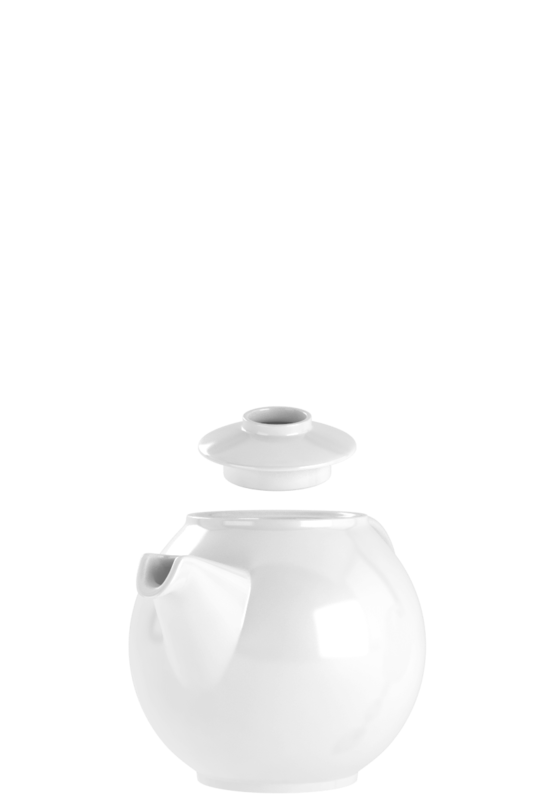 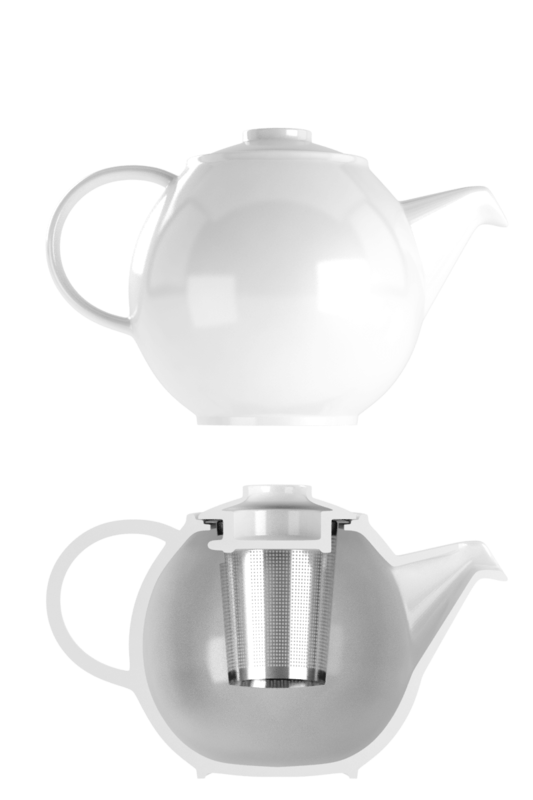 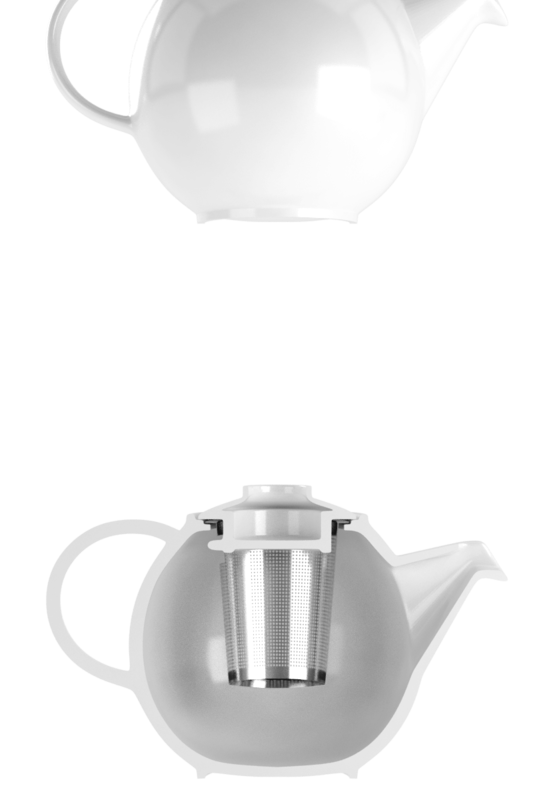 Our mission: to co-design a teapot that effortlessly makes the perfect cup of tea. 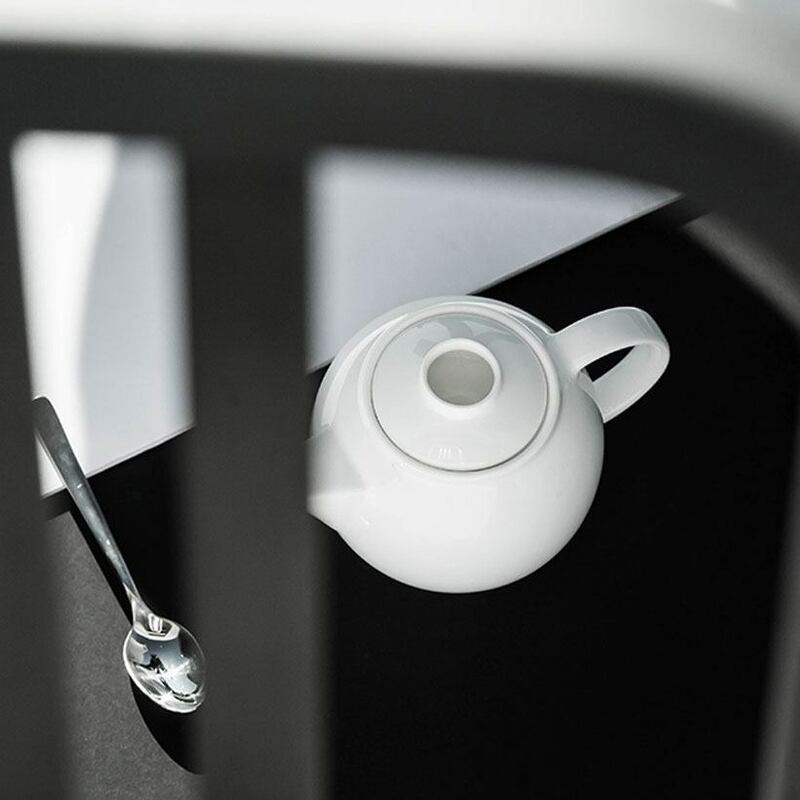 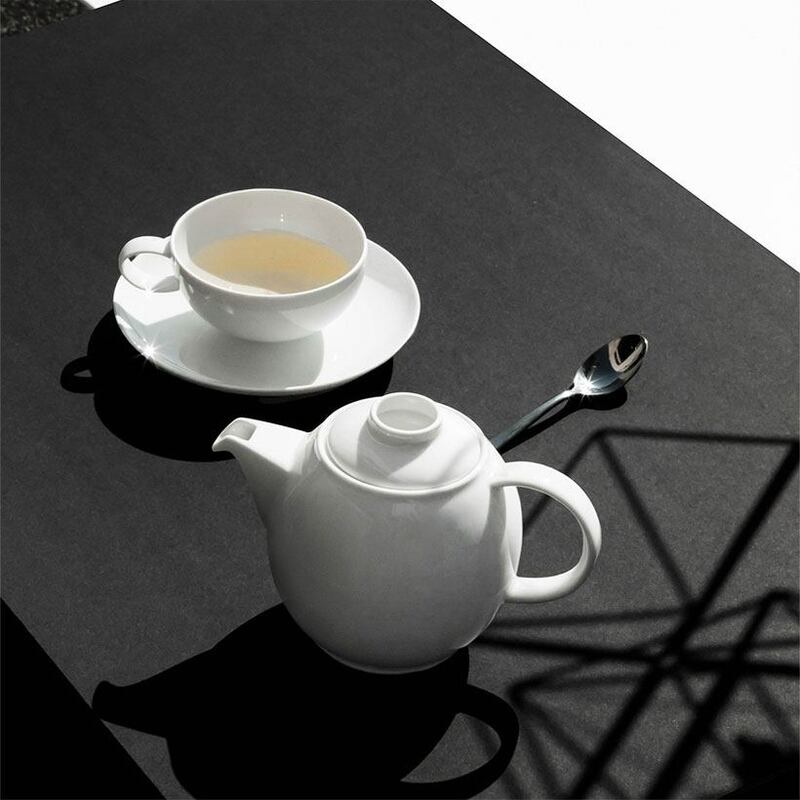 Inspired by the luxury basic white T-shirt, "The Basic White T-Pot" reimagines the design of a tea time essential, stitching together quality materials and innovative thinking. 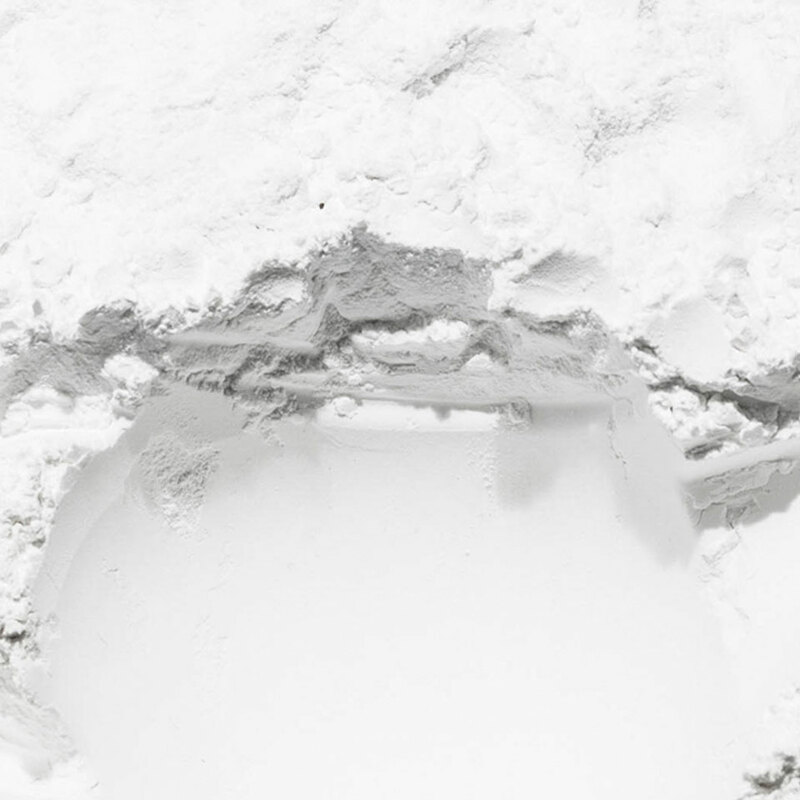 A passionate creation of Art + Beauty." 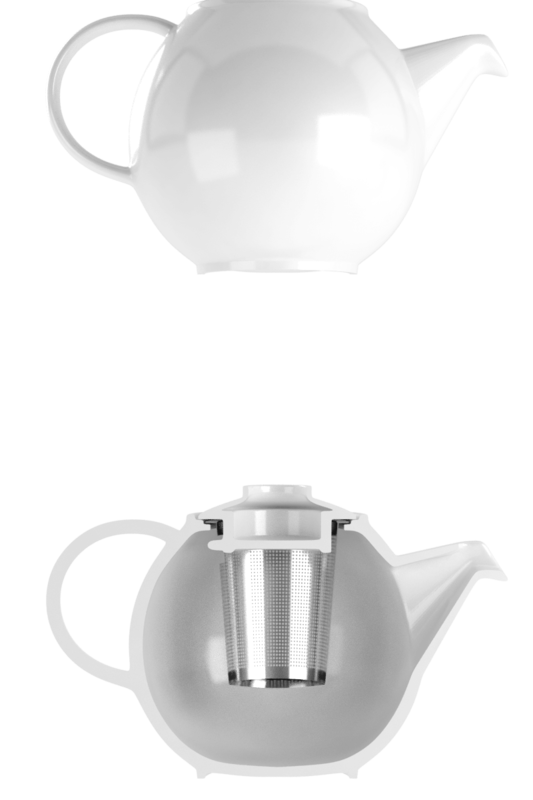 One inch makes all the difference for a perfect infusion. After your first pour of tea, the waterline will sit just below the infuser. 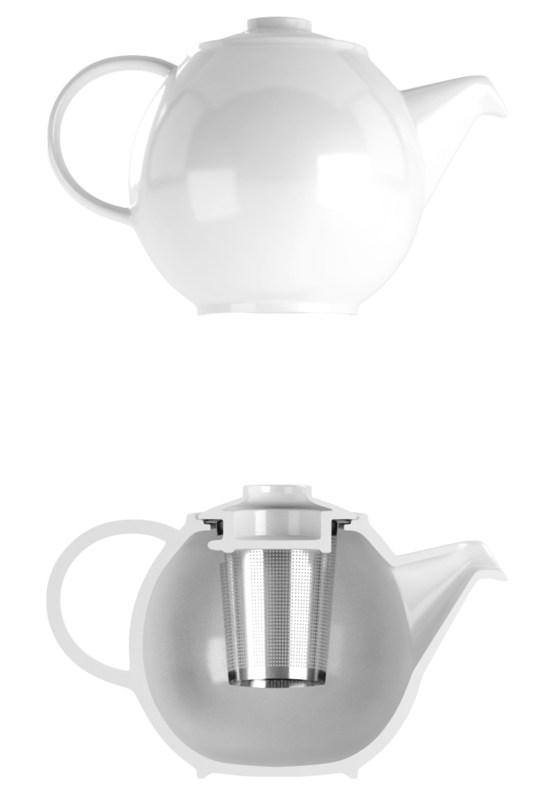 Extraction stops, precisely. 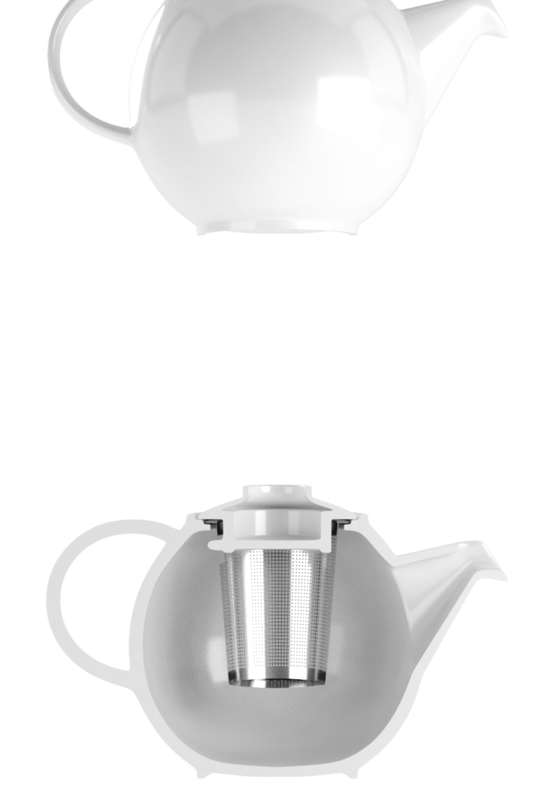 No over-steeping of the second cup. 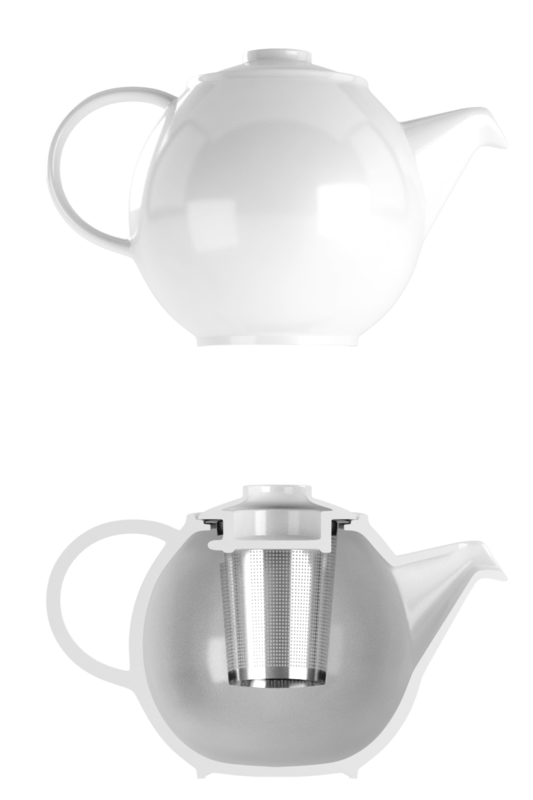 No bitter tannins. Perfection. 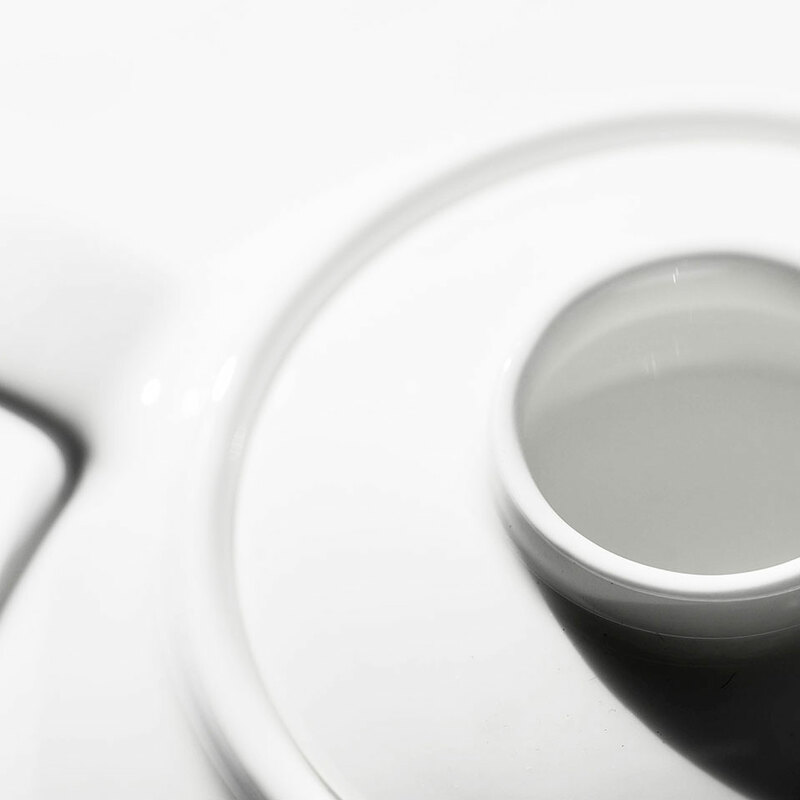 Flawless, translucent and silky smooth. This teapot exemplifies good manners and sophistication. 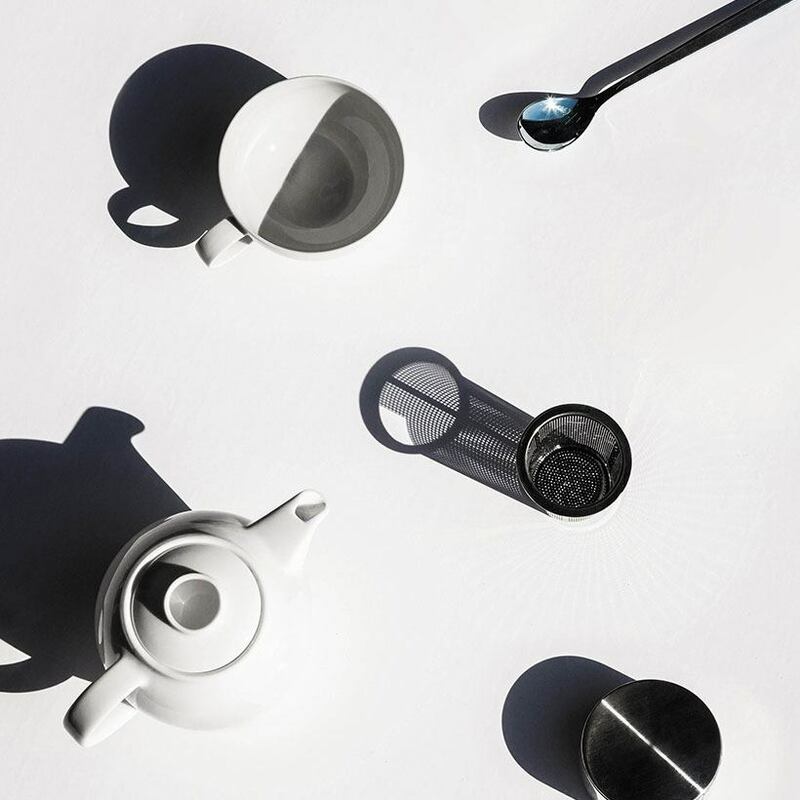 Light on the wrist and luxurious to touch. Handworked at every stage, made from the highest quality English fine bone china. So civilized. 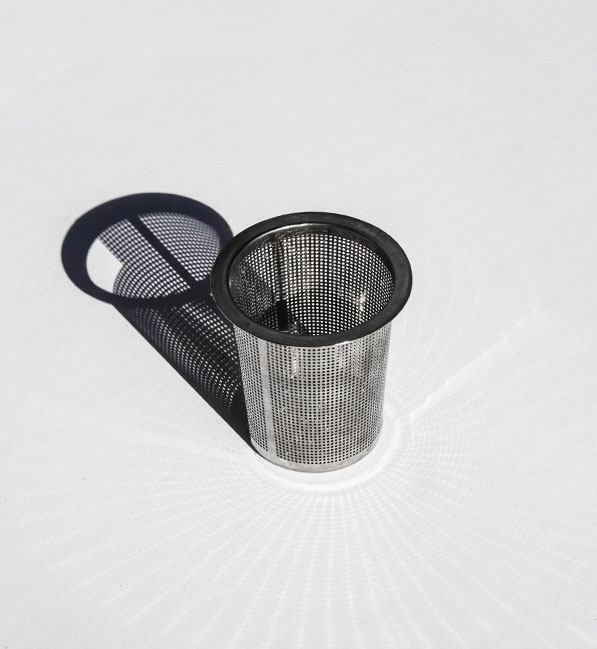 Keep your linens pristine. 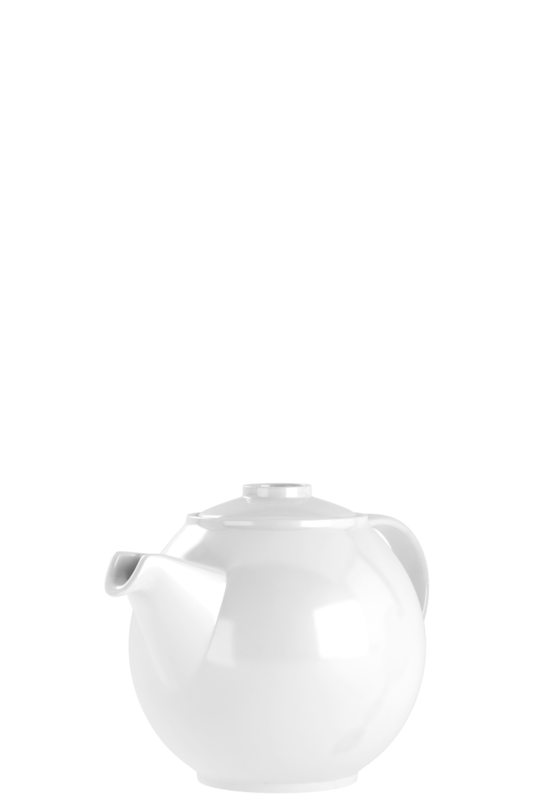 The intelligent design of the spout prevents unsightly drips due to its shape, like the soft curves of a fitted white T-shirt. The cutaway spout reveals the beautiful colors of tea, before it is hemmed in by the cup below. Like the gentle curves of fabric, the concave lid is hemmed in from all sides for an easy grasp. 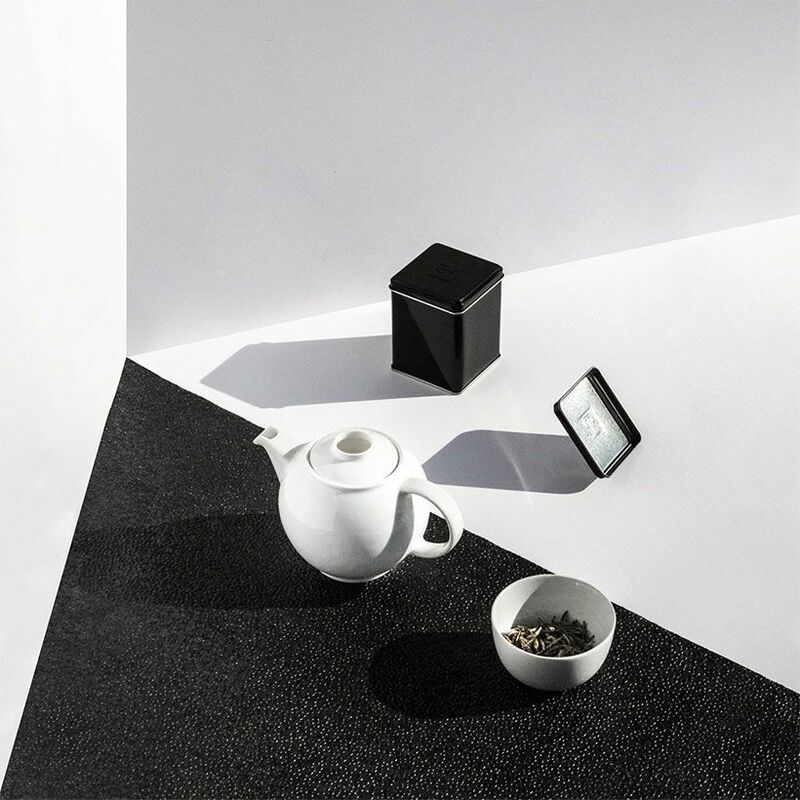 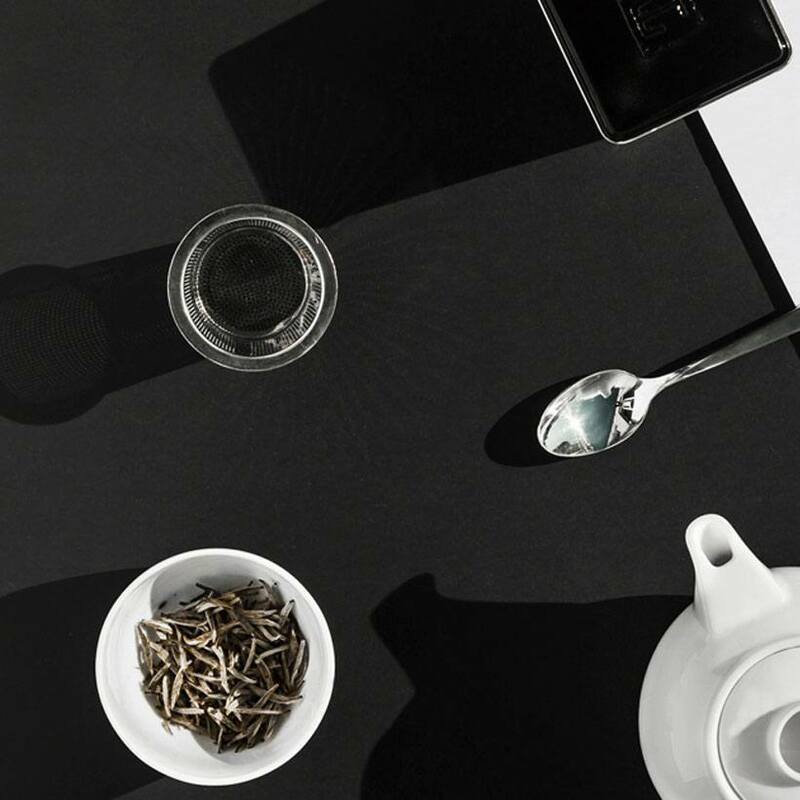 Gracefully pour your favourite cup of TEALEAVES while the lid autonomously stays in place. 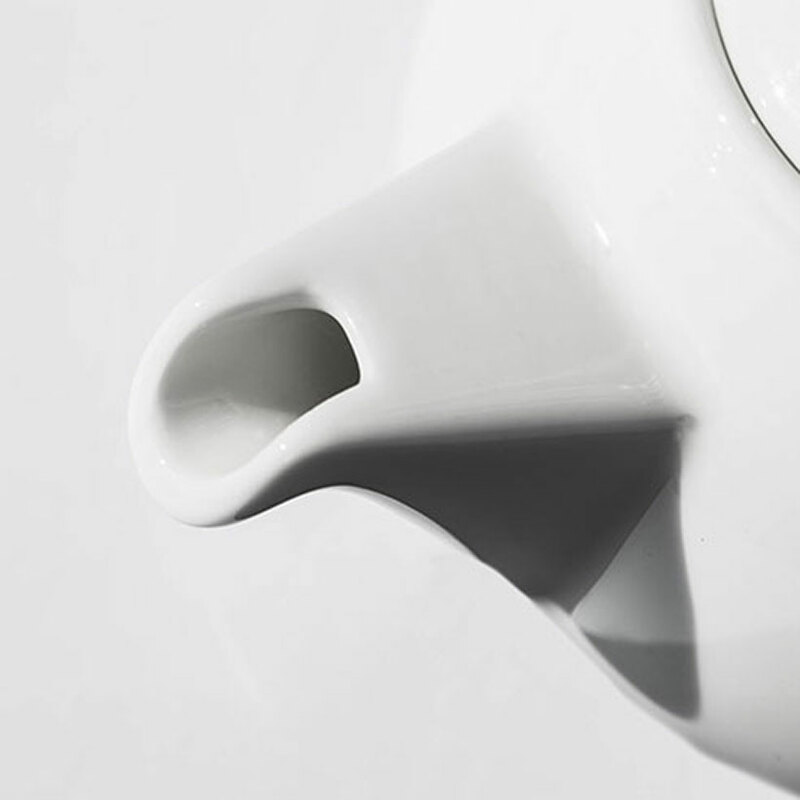 A great handle befitting of the teapot’s modern and minimal design. 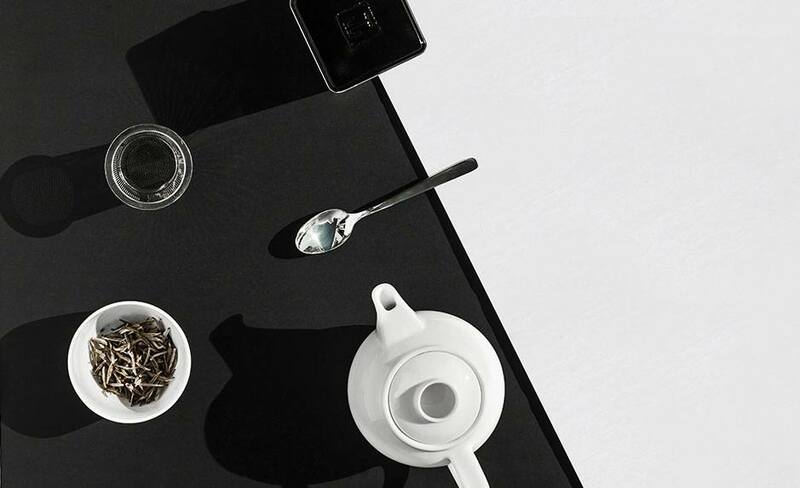 Get a grasp on the connoisseurship of tea, expertly and simply made. Express your fashion sense. 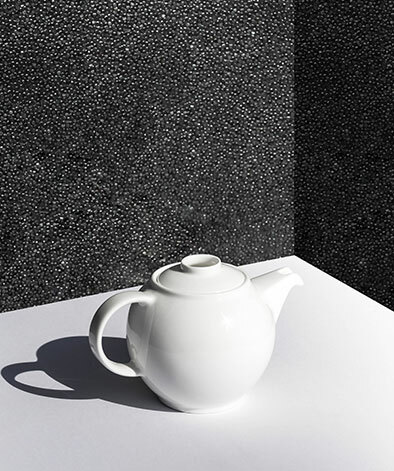 Let this modern staple inspire your lifestyle. 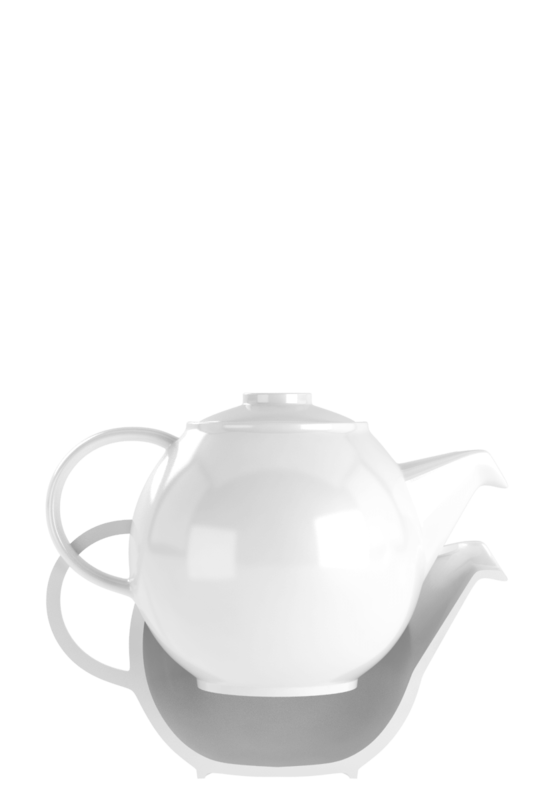 Pair with your favorite teacup, a basic white T-shirt and luxury TEALEAVES. 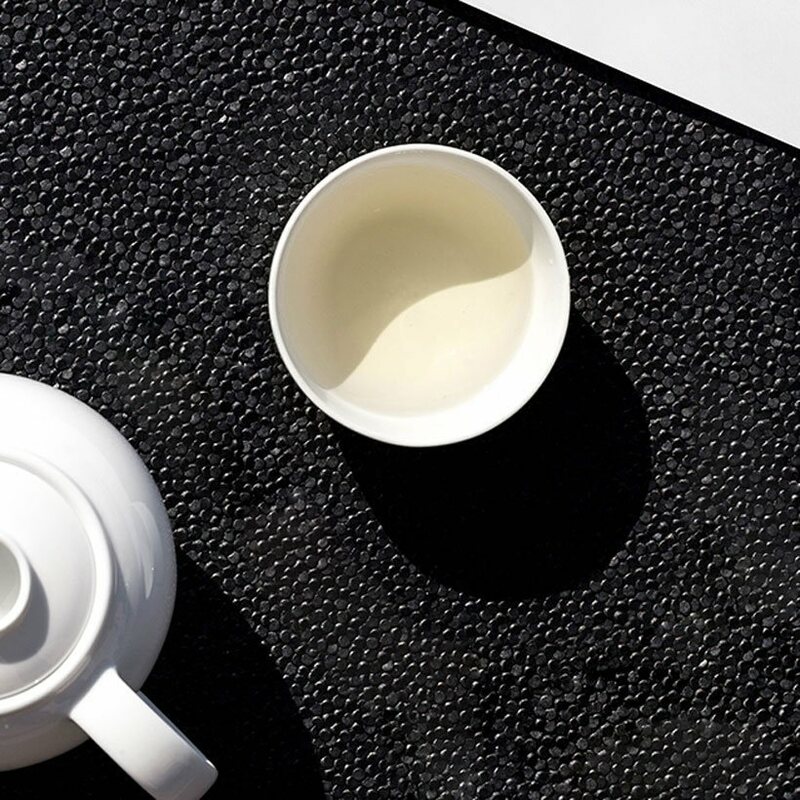 The basic formula of bone ash, china stone and china clay still remains the recipe for high quality bone china many centuries later. 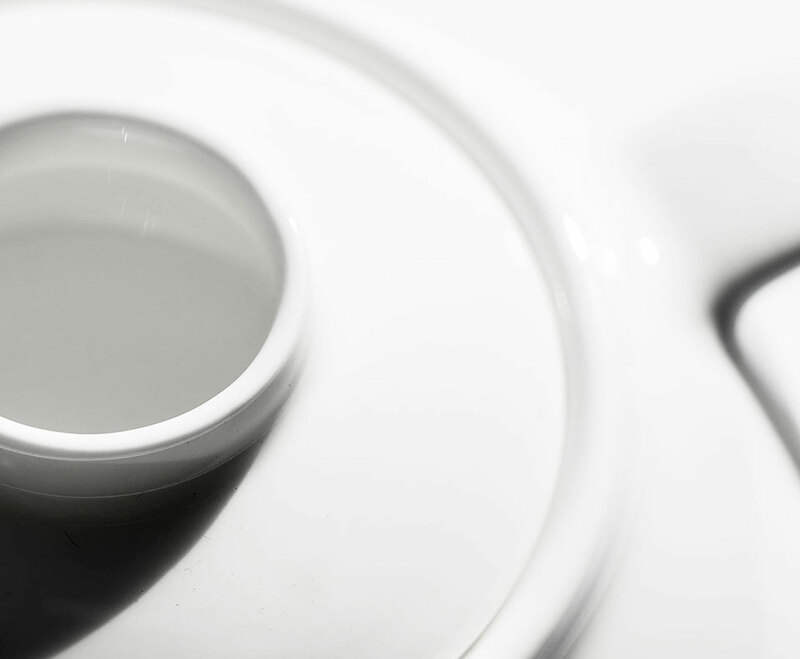 Since 1750, Royal Crown Derby has elevated the process even further by using 50% bone ash. This alteration to the pattern of ingredients resulted in Royal Crown Derby's unique 'whiter than white' translucency and superior strength. With the fortitude of fine bone china, this teapot easily withstands the wear and tear that puts hard paste porcelain and earthenware teaware into the dustbin. 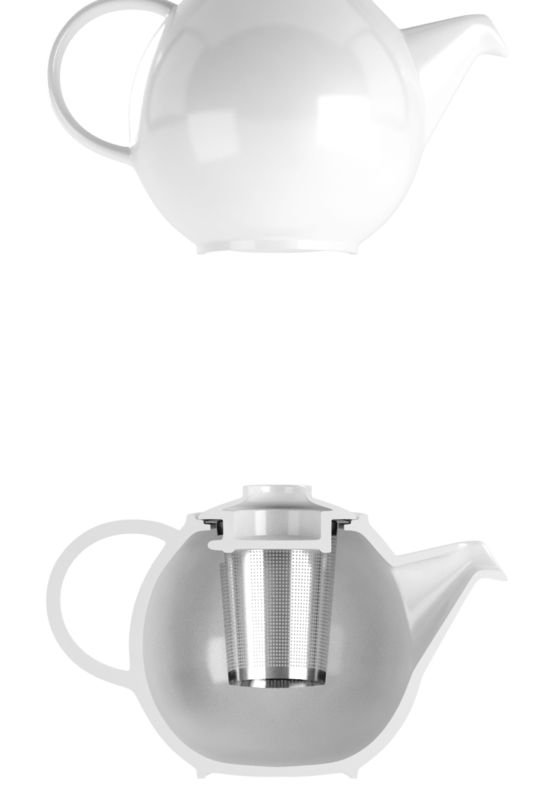 Tea has a precise infusion time before it turns bitter from tannin over-extraction. 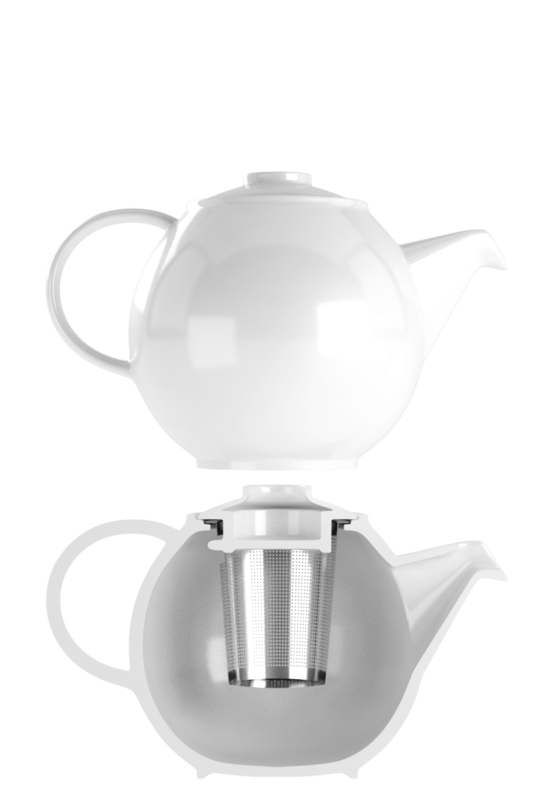 The thoughtfully designed infuser holds your tea leaves just above the waterline. 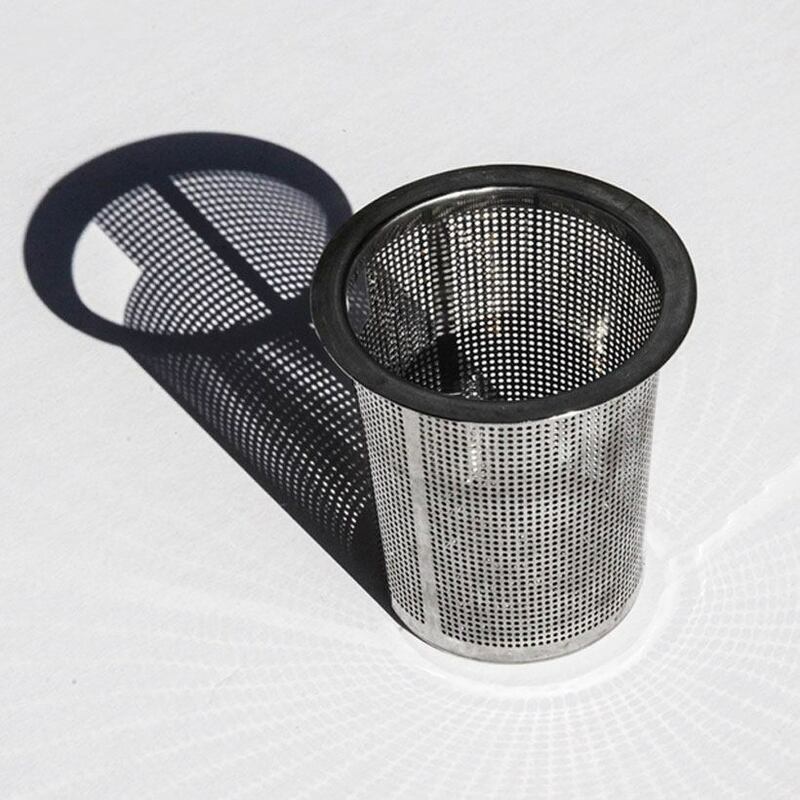 This prevents over-steeping after your first pour, allowing you to sit back and relax for your second cup. 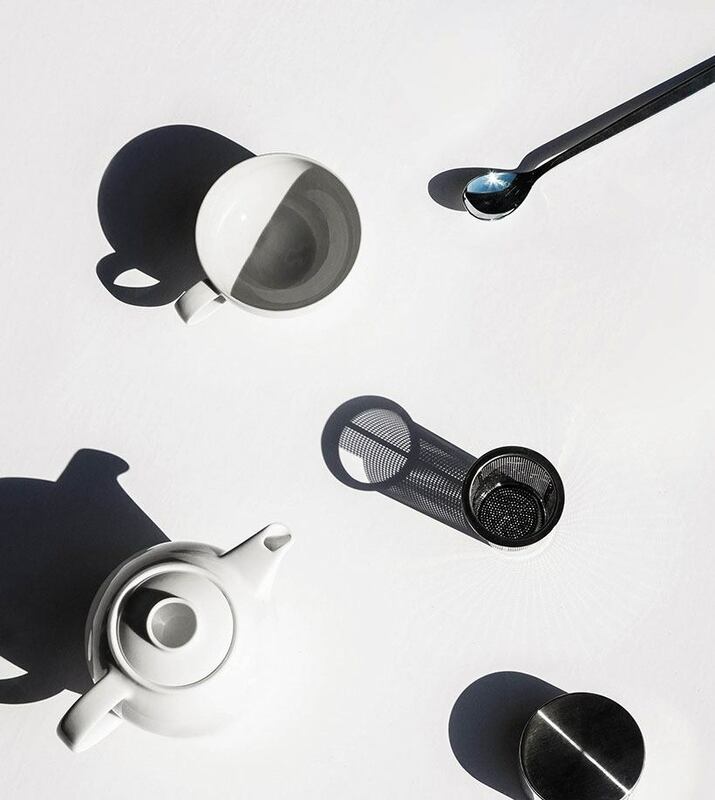 Make tea perfect, effortlessly. 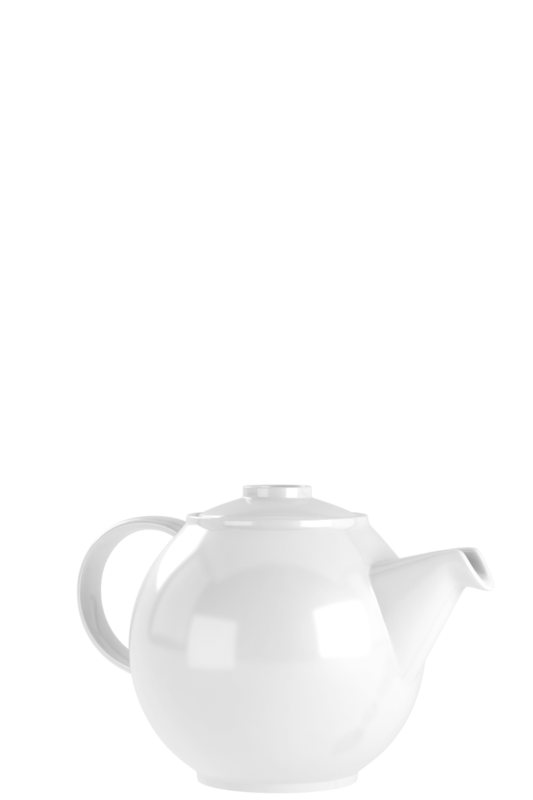 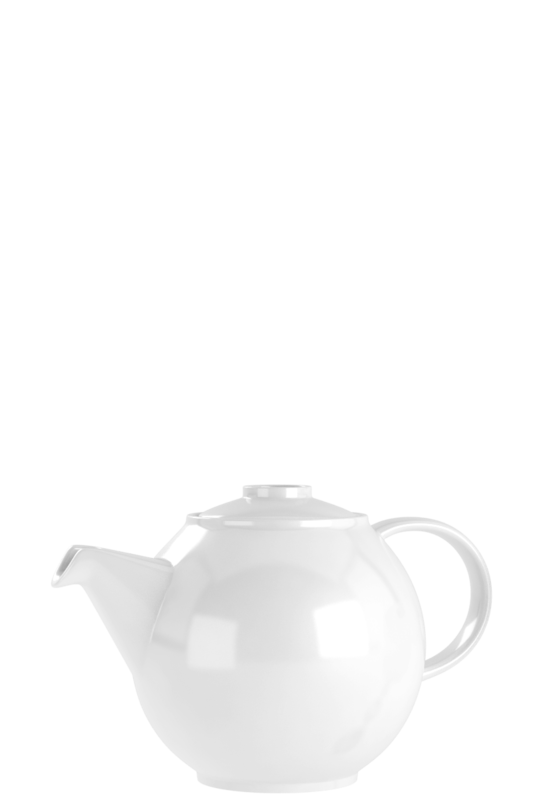 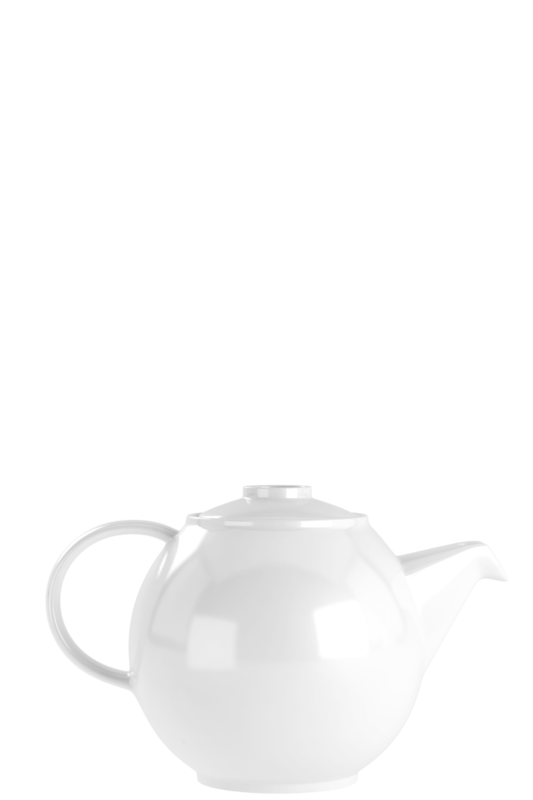 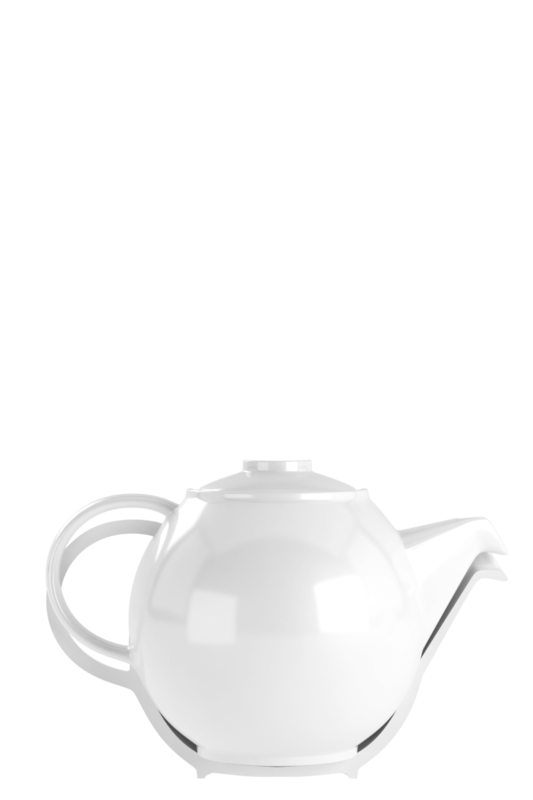 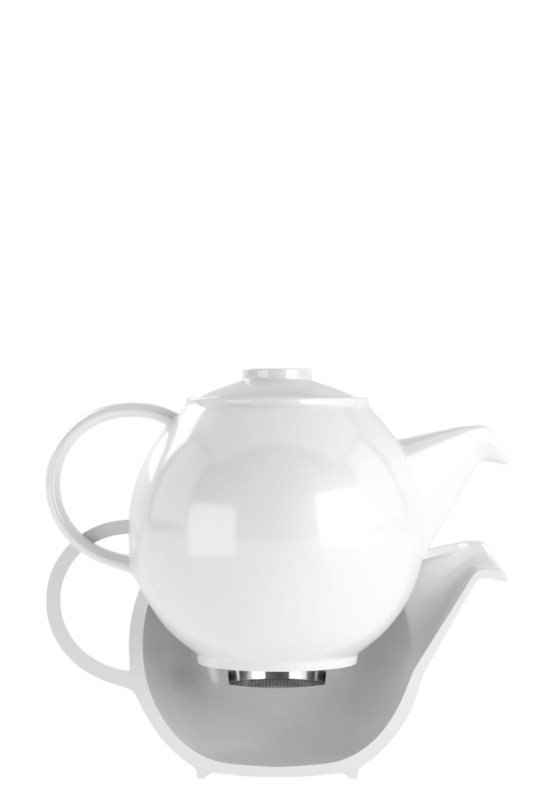 The Basic White T-Pot allows you to appreciate tea in its truest expression. 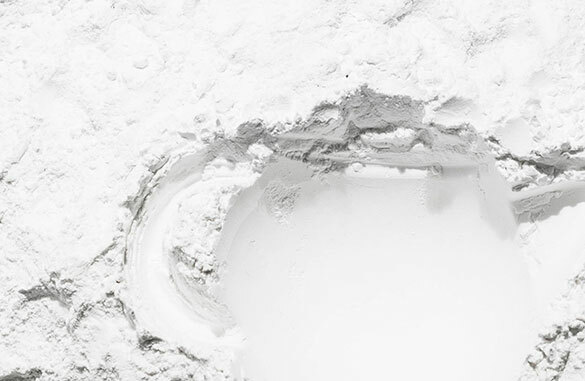 Just how our Master Blender intended.